Appearing three minutes before the beginning of the rampage that left 11 people injured, the post reads: "I can't take it anymore. America! Stop interfering with other countries, especially the Muslim Ummah. We are not weak. We are not weak, remember that." The post also invokes the name Anwar Al-Awlaki, a radical American-born al-Qaeda cleric, describing him as a "hero." Al-Awlaki was killed in 2011 but his propaganda has been linked to several domestic terrorist attacks in the years after his death. "If you want us Muslims to stop carrying lone wolf attacks, then make peace," the post reads. "We will not let you sleep unless you give peace to the Muslims." Officials said that this morning's attack began when the assailant drove a vehicle into several people before exiting and slashing victims with a knife. "So many people, who are flipped by ISIS propaganda remotely, look like they are leading successful lives," said Richard Clarke, an ABC News contributor and former U.S. National Coordinator for Security and Counter-terrorism. "It's so hard to predict when the propaganda will get through to them to the point where they crack and go violent." "I wanted to pray in the open, but I was kind of scared with everything going on in the media. 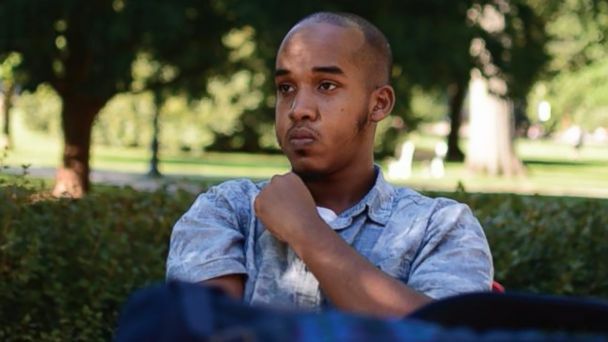 I'm a Muslim, it's not what the media portrays me to be," he is quoted in the paper as saying. "If people look at me, a Muslim praying, I don't know what they're going to think, what's going to happen. But I don't blame them. It's the media that put that picture in their heads, so they're just going to have it, and it - it's going to make them feel uncomfortable."